We launched at the Waveney Centre, leaving the car and trailer there. It seems quite secure and there is plenty of space. 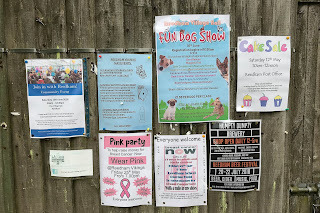 There are toilets, showers, shop and pub, they also sell short visit licences. 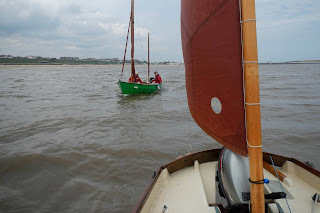 At low tide (yes there is some) the slip can be slippery but fine to use. 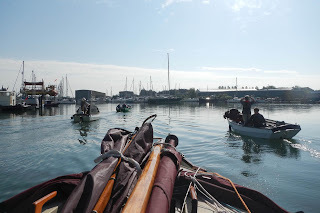 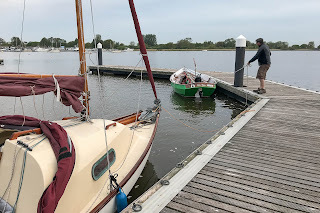 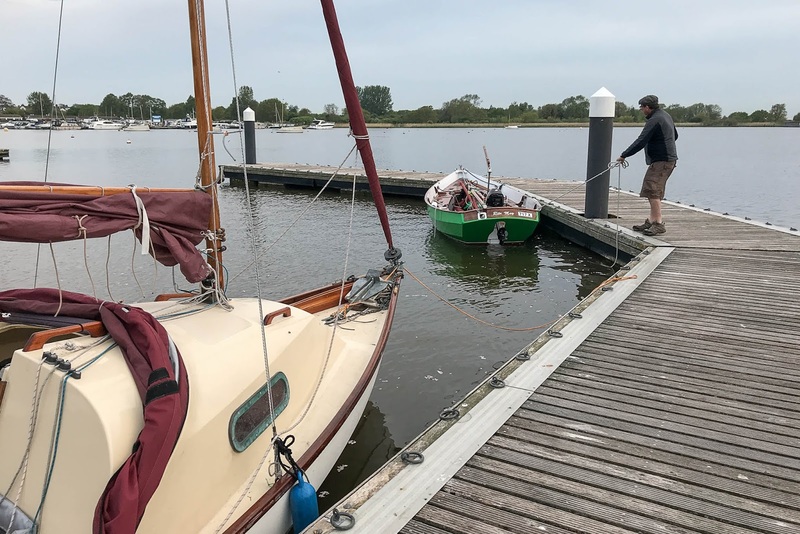 A short sail took us round to Oulton Broad, where we were guests of the yacht club, with good pontoons and warm welcome in the bar. 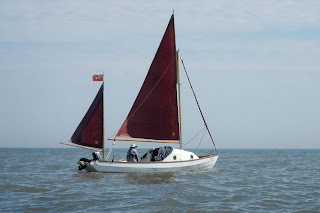 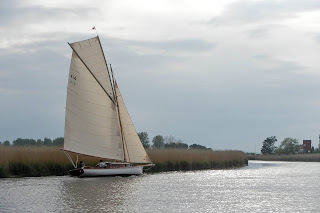 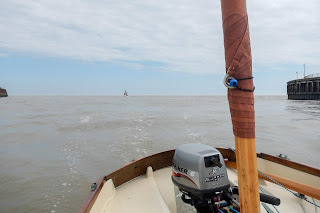 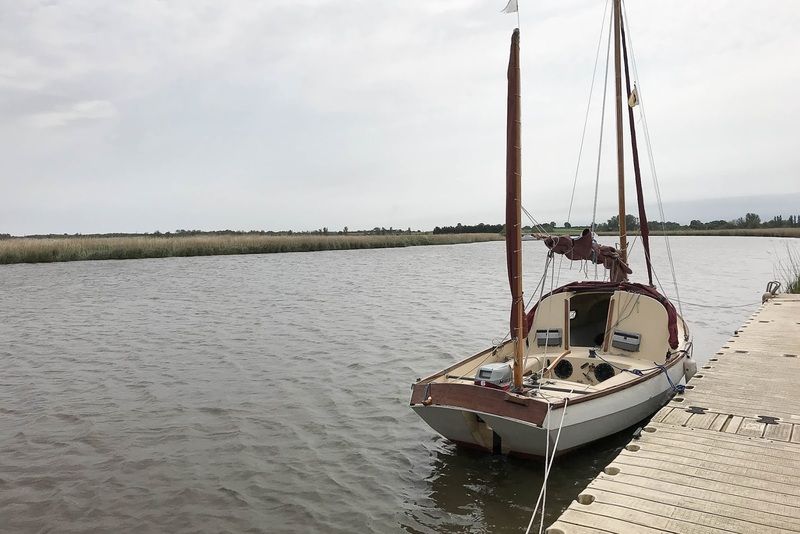 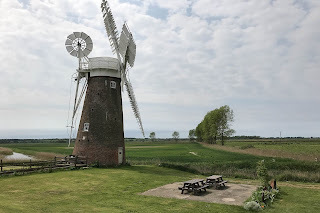 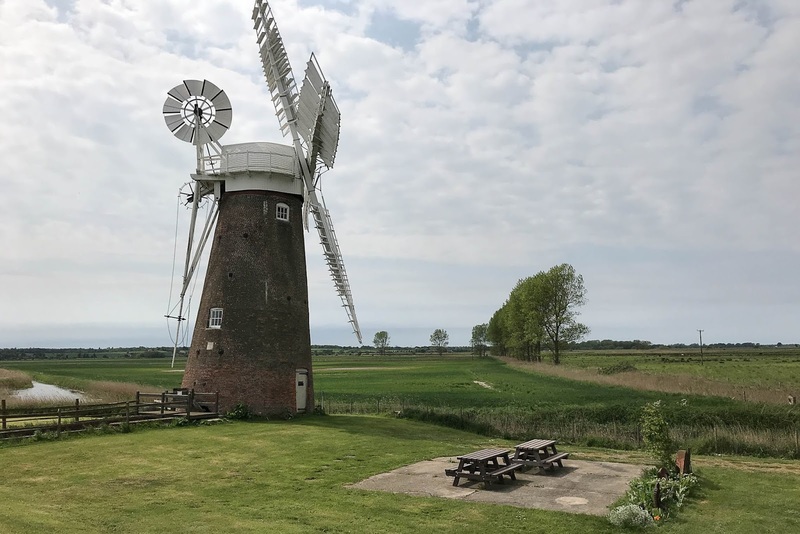 The aim of the trip was to sail out of Lowestoft, head north along the coast to Great Yamouth and re-enter the Broads at Braydon Water. 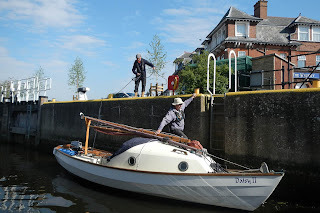 Saturday morning we took the masts down and went through Mutford Lock. 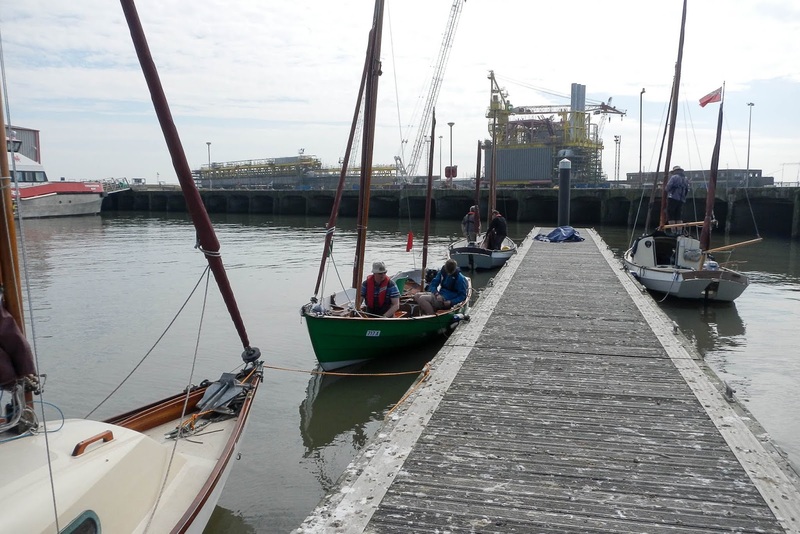 There are three bridges before reaching Lowestoft outer harbour, where there is a floating pontoon on the north side, which is ideal for raising masts. 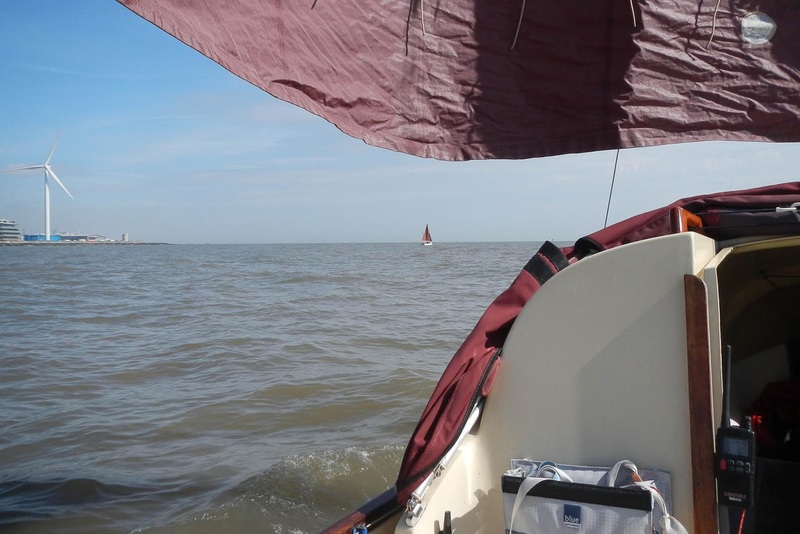 However, it was covered in bird "pooh". 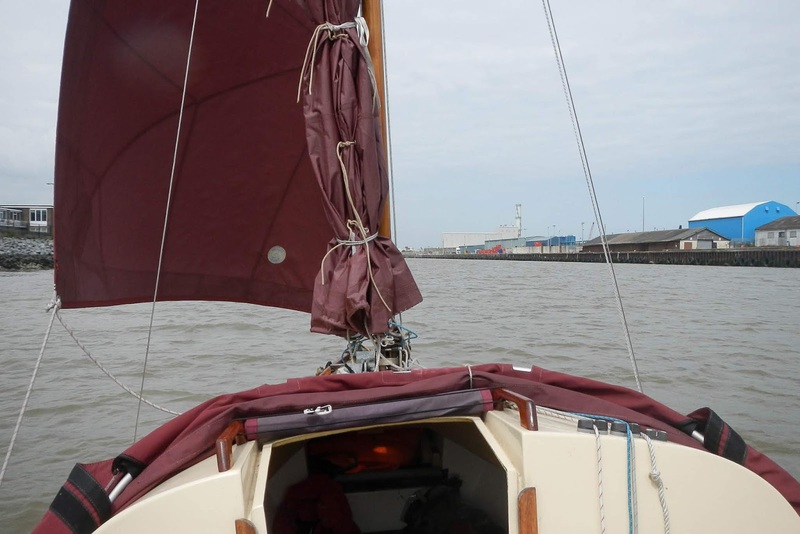 The timing to enter Great Yarmouth is important and even approaching near low tide on neaps, there was still quite a strong flow out of the river mouth. 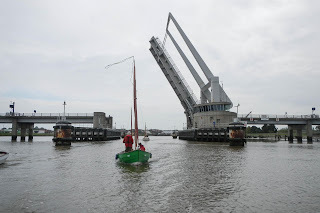 It had been arranged for the bridge in Great Yarmouth to be raised near low water (this needs to be booked in advance) and waited for 30 minutes against the harbour wall. Not a great place for a longer period. 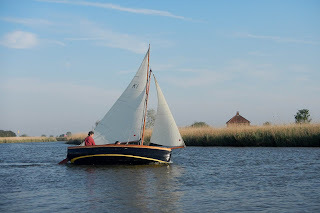 Once through the first bridge there is second one, which will also lift on request, this took us into Braydon Water and onto Reedham. 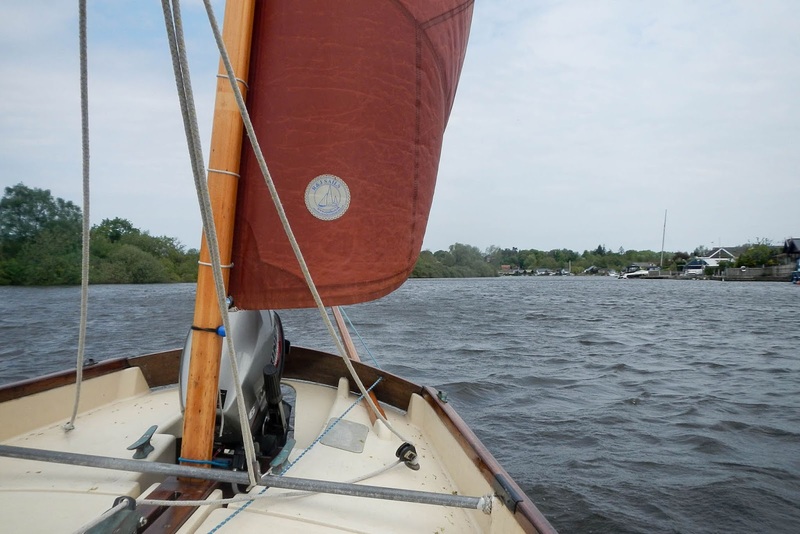 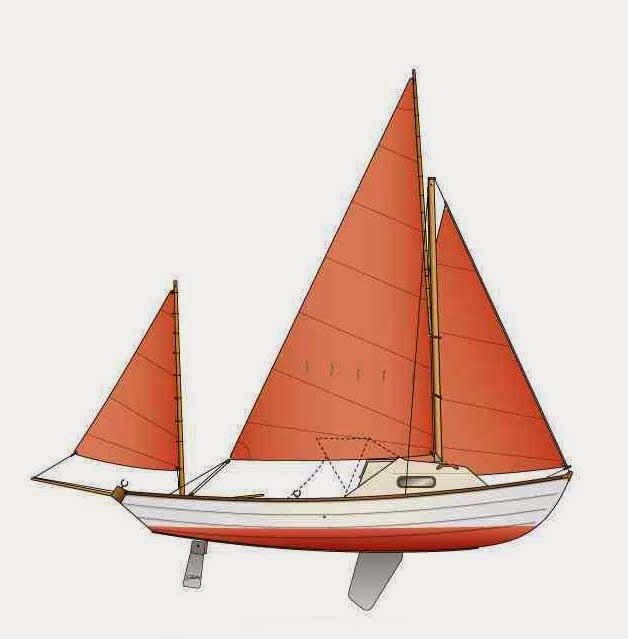 Heading further up the River Yare will bring you to Brundall, where the trees start to become an issue and sailing can be a challenge. 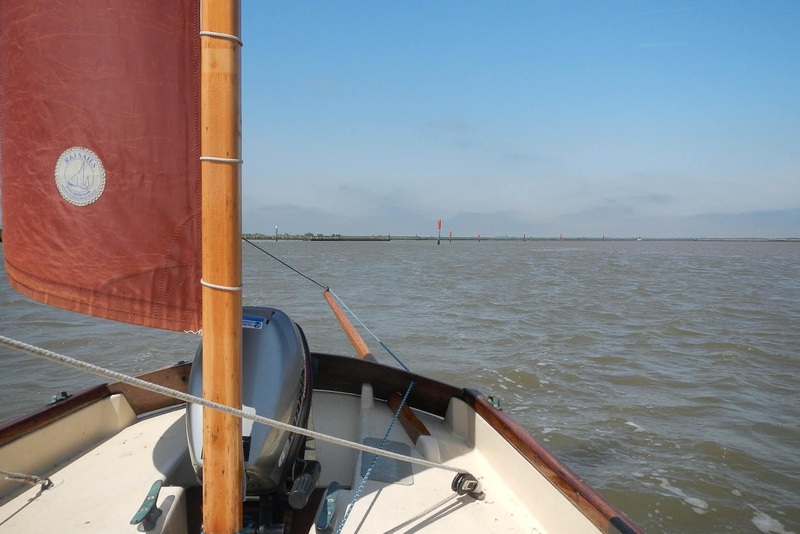 Although the landscape does open up once you reach Bramerton, the best sailing is behind you. 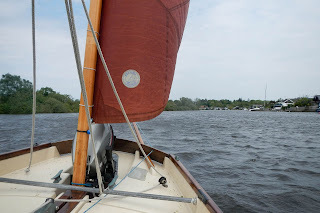 Certainly past the main A47 road bridge, as you enter the outskirts of Norwich, marks the end of any realistic sailing. Moored at St. Olaves, to take the mast down. 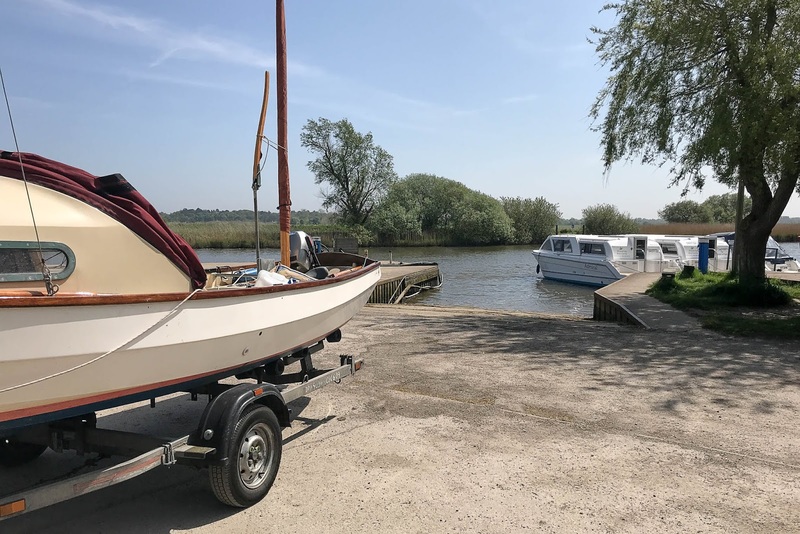 There is not a lot of room here and a couple of big motor cruisers could fill up the space. 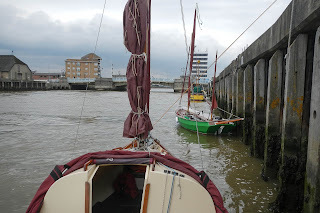 Once under the bridge there is a stretch owned by the pub, where the mast was raised. 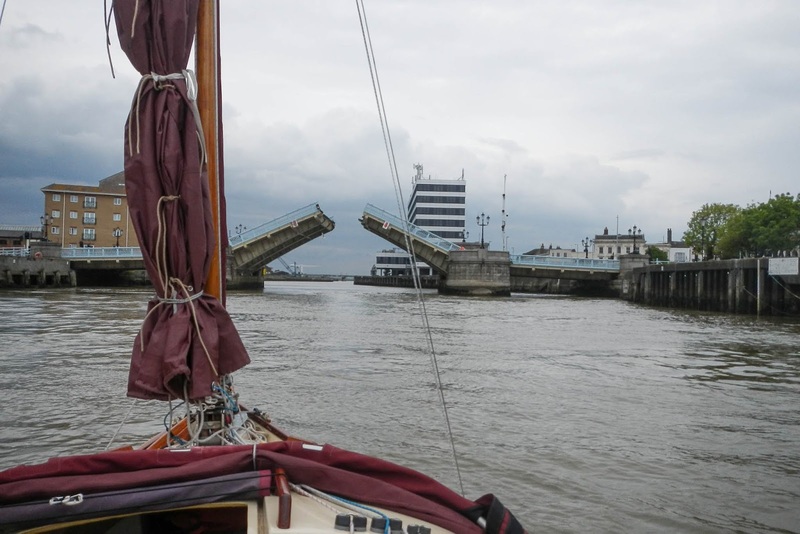 Both sides of the bridge there are some private moorings and a marina. 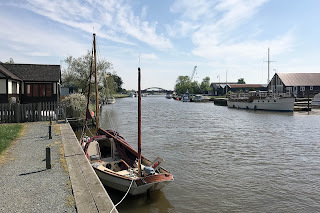 About a further mile up the Waveney are Herringfleet Moorings, followed by Somerleyton, where there is a swing railway bridge. This is like the one at Reedham and both will open on request when called on VHF ch12.